Nigeria has a developing arts and entertainment sector that currently contributes 1.2% to the GDP. This sector is however highly undervalued and struggles to receive the right amount of attention. The role of the general media, specifically the culture journalists, in drawing attention, appreciation and action towards this sector is important and cannot be over-emphasized. But how do culture journalists write about a theatre performance? How is a review different from a portrait or an essay? How can literature be featured on TV? • Promote exchange between Nigeria and the UK. Participants will learn about different approaches to cultural reporting. They will develop skills and discover tools that can be used to make their arts reporting more contemporary, informed and engaging particularly for younger audiences. 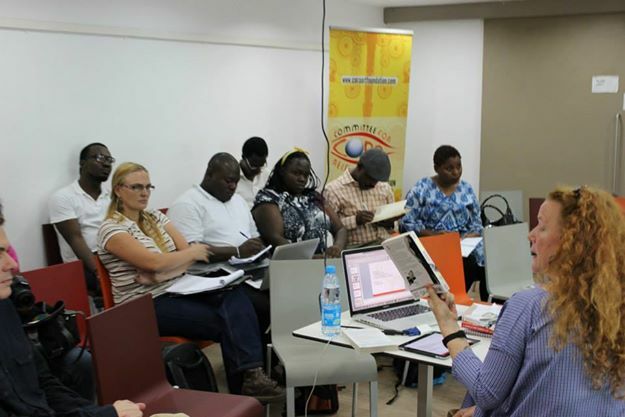 • 3 day workshop for cultural journalists on reporting the arts and facilitated by Nigeria and UK media specialists. Participants will be expected to write blog entries during the training, sometimes about the same topic from different perspectives. • Attachments to local and international cultural organisations and cultural events. Cultural organisations and events will cut across the various art forms/sectors. Participants will deliver 2000 word articles on these organisations and events that will be published on new or existing media platforms for Nigerian arts and culture.